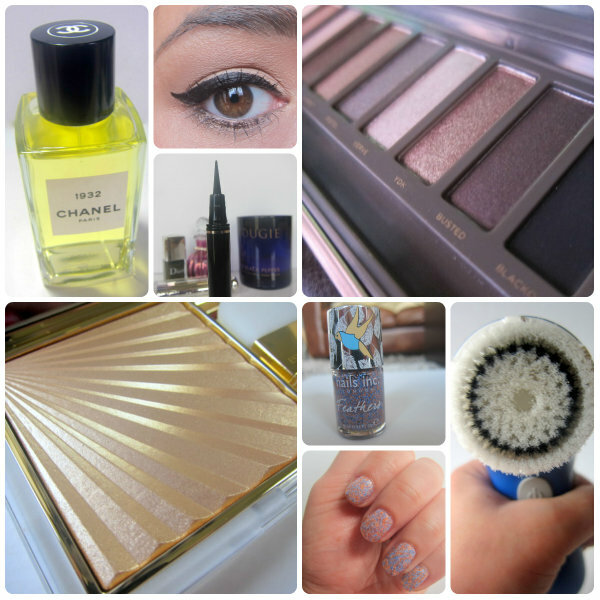 Best In Beauty: April Favourites from Urban Decay, Nails Inc, Dior, Estee Lauder, Chanel and Clarisonic! April was a strange aul’ month in beauty. While the spring releases were flying and some of the summer launches started to land on my desk, outside it was feckin’ freezing. Some days it even snowed. I coped with the unseasonal weather by paring back my beauty routine and ramping up my skincare efforts and, in the process, discovered my latest beauty loves. I thought my life was complete with Urban Decay’s Naked palette but, fickle consumer that I am, its successor has quickly supplanted it in my affections. The Naked 2 offers more cool toned options and contains 12 chic neutral shades that blend like buttah, baby. I’m planning a post on my current skincare routine (because I just know it’s been keeping you up at night with the wondering!) but basically, it all revolves around this. I was given the Clarisonic Mia to coincide with its official launch in Ireland last month and am enraptured with its pore tightening, blemish busting, skin softening ways. This absolute stunner of a highlighter, Heat Wave, is the standout item from Estée Lauder’s summer collection this year. I’ve kept it close at hand from the moment it arrived – not just to wear, though it gives a delightfully flattering finish, but just to gaze at adoringly throughout the day. It is just that pretty. A few commenters were too distracted by my nails to pay enough attention to the lovely Armani Fluid Sheer I was talking about and you know what? I can’t blame you. For all of its soft and delicate ways, the Nails Inc Feather Effect polish is still a showstopper. The effect is really more Hundreds 'n' Thousands than feathery, if I’m honest, but I love it anyway. Elegant and sparkling, with tender notes of jasmine, iris, sandalwood and bergamot, 1932 continues to make me swoon. Read my full review and find out why you need this in your life. Tried any of this little lot? I’d love to know your thoughts, or to hear what you’ve been loving of late! Great picks! That Estée Lauder highlighter looks stunning! I used Naked 2 on my sister for her wedding day. In love with it. I'm interested in trying the Diorshow Art pen as your eyeliner is just SO perfect!! love this makeup, so much fun! That Estee Lauder looks amazing! That highlighter is simply gorgeous! Loveleeee picks! I would want every one of them in my beauty box, love the liner, it looks far simpler to use than the ones I have. The Urban palette is a makeup must have and the nail polish is so pretty! Good for you! I love my Clarisonic Mia. Gotta try that DIOR! Nice! €3 Essence one I'm using at the moment! I'm so impressed with the Estée Lauder highlighter, it's almost too pretty to use. I'm a huge fan of the Naked 2 palette, I could use it everyday! Hope you're having a great week Emma! I love that eyeshadow palette. Gorgeous products, I love them! OMG!!!! I am completely obsessed with this! everything is just so perfect. Everything here looks good Emma! Oh I've already spotted a sparkly shadow which is not featured in my Naked Palette! In your last post I noticed you have an even and soft skin: is that Clarisonic?? that Nails Inc polish is still on my ever burgeoning list!